In the past few decades, solar has improved dramatically and become much more affordable. This has made it a beneficial source of energy for developing countries. Solar power is especially sustainable for these places since they can be used in various locations and have a great output efficiency. This makes solar a more sustainable, renewable energy choice. 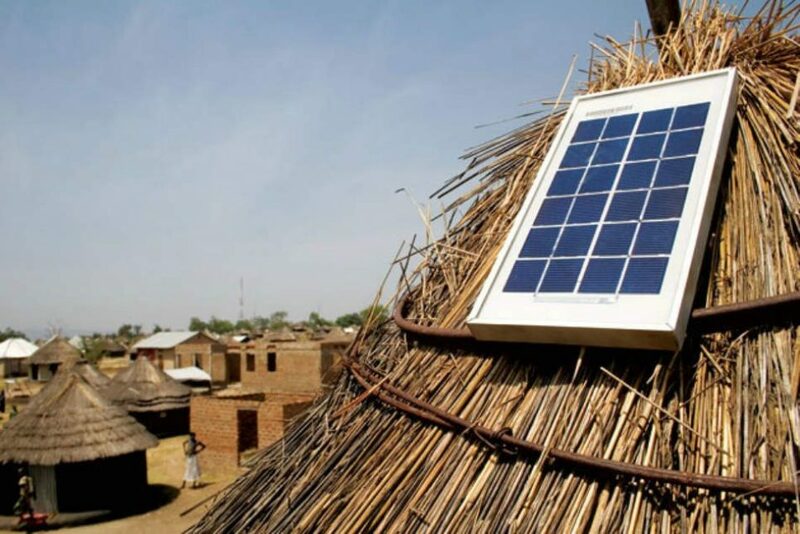 There are many ways that developing countries can use solar power to their advantage. Solar has become more accessible throughout the world, and we are glad to see it making a positive change. At Advanced Power Inc., we offer solar water pump systems and equipment that can help you take advantage of solar energy, from irrigation or commercial use to residential use. In previous blogs, we have talked about the benefits of solar power, and now we would like to discuss the topic in regards to developing countries. We have already mentioned that solar is great for developing countries since we all have access to the sun, but what are the benefits of solar? Since solar equipment is more affordable and efficient now than it has been in the past, it can help third world countries spend less on energy in the long run. While the initial cost of solar can be more expensive than their current energy generation technologies, it could end up saving them in the long run and provide them with a more reliable source of energy. After the initial cost, solar panels will generate energy at no additional cost, saving money for these third world countries. Many villages in developing countries get their energy from environmentally harmful sources, which is because they do not have access to clean and renewable energy sources. These countries currently use fuel wood and the charcoal made from fuel wood as their main energy source. A paper from Saeed D. Foroudastan, Ph.D. and Olivia Dees talks about fuel wood and mentions the following: “Also called potentially renewable biomass, these are "“the main sources of energy for heating and cooking for roughly half the world’s population. Within a few decades one-fourth of the world’s population in developed countries may face an oil shortage, but half the world’s population in developing countries already face a fuel wood shortage.”"
The traditional methods of energy production degrade the ecosystem and can cause the lands to be over-harvested. This results in them being useless and causes the land to no longer be able to replenish itself for another harvest. Solar can help keep the environment and ecosystem surrounding these developing areas healthier, as well as the people. There are many benefits to solar power in third world countries. They can help provide cleaner energy that does not destroy the lands surrounding them. Plus, the more people who utilize the power of the sun and solar energy, the less CO2 emissions that are being released into the atmosphere. This is beneficial to the world as a whole. It is great that there are many applications that these countries can use solar for. Let’s take a closer look at some of these different uses for solar energy. In third world countries, it can be very common for people to live without access to power. Many people get power from toxic fossil fuels and rely on them to help with their everyday tasks. It isn’t uncommon for these developing villages to go days without power, leaving them without the means to turn lights on, purify food and water, cook, and perform other tasks we take for granted. Solar can provide people with the power they need to live their daily lives. Solar panels and equipment can harness the sun’s energy and store it to be used when needed. With solar energy, developing countries will have to worry less about losing power and the possibility of living without some of these essentials. People will be able to cook, purify water, and live their life using power when they need it most, even when the sun isn’t out. Different companies in these developing countries will also be able to utilize solar power to help benefit their businesses. Solar can be extremely important for commercial use and other industries, such as healthcare. With access to power through solar, businesses, hospitals, and other important facilities will be able thrive and provide their much-needed services. While this is not a reality yet, solar powered transportation is being developed and experimented with and will someday be used throughout the world. This will be beneficial for developing countries, in which most citizens do not have access to transportation. With solar power making its way into the transportation industry, there will be many benefits that are to come. At Advanced Power Inc., we realize the major benefits that solar water pumps can offer to developing countries. Solar water pumps can be used for irrigation in developing countries and allow farmers to depend less on fossil fuel and grid electricity. These people would no longer have to worry about unpredictable rainfall patterns. Solar water pumping has been proven to be financially, operationally, and environmentally sustainable. Irrigation and agriculture use are not the only ways that solar water pumps can benefit developing countries. A video from World Bank shows how Tanzania is using solar panels to provide clean and sustainable energy to pump water, giving villagers access to clean water without having to travel long distances. These villages used diesel generators which were expensive to maintain and required a constant supply of diesel fuel, which is also costly. Solar panels are a cost-effective solution that provides these people with clean water that is safe for drinking. Advanced Power Inc. hopes to see solar energy being utilized in different areas of the world. There is no limit to how it can be utilized, which makes it so powerful. With this type of renewable energy, we can begin to see a true difference being made in the world. At Advanced Power Inc., we offer solar water pump systems and equipment that can help you with your commercial, residential, or agricultural use. Shop through our products and contact us to learn more. If you are interested in investing in solar equipment but are unsure what you need, we can help! We can even create custom solar products for your unique and specific application. Get in touch with us to learn more and to get your questions answered.